Special assistance requirements need to be pre-booked through your airline and/or tour operator prior to your arrival at the terminal. 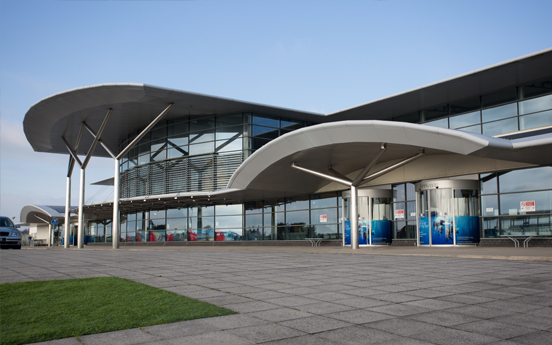 For general enquiries regarding special assistance at the airport contact the Airport Information Desk at Guernsey Airport on +44 (0)1481 237267. Please click on the below link to read the list of facilities within the terminal building, car park, departure hall and arrivals hall. We aim to improve the experience for our vulnerable passengers who may not want to share details of their hidden disabilities. Passengers have the option of wearing a sunflower lanyard whilst travelling through Guernsey Airport. This will identify them to staff as someone who may need additional support or understanding. All Guernsey Airport staff have been specially trained to recognise the lanyards and act accordingly. The sunflower lanyards are recognised at various other airports around the British Isles. Lanyards are available for collection from the Guernsey Airport Information Desk, located within the Terminal Building. There are currently four licenced accessible taxi operators. Each taxi has a certificate to demonstrate they have undergone and passed a training course on safe passenger handling and they will carry standard taxi identification. View the AccessAble guide for Guernsey Airport, La Villiaze, Forest, Guernsey, GY8 0DS. View the AccessAble guide for the route from the car park to aircraft. View the AccessAble guide for the route from aircraft to car park. View the AccessAble guide for the route from the Airport to St Peter Port Bus Terminus.